The inland loop is on quiet lanes, taking in pretty Kentish villages with ancient churches such as St. Nicholas at Wade and passing Minster Abbey, one of England’s oldest inhabited buildings founded in 670AD. A short detour leads you to the 16 acre Monkton Nature Reserve, an important resource for the protection of wild flowers, including rare orchids. 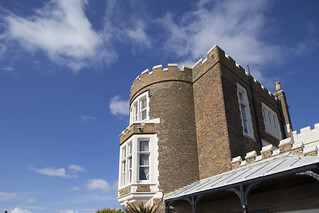 At Ramsgate, the splendid Pugin Victorian church of St. Augustine’s Abbey is worth a visit, or enjoy a rest at one of the many cafes overlooking the harbour and marina and the Ramsgate Maritime Museum. Another point of interest in Ramsgate is the Stonelees Golf Centre situated on the supposed landing site of the Anglos-Saxons in AD449. Stonelees Golf Centre have installed a giant hand carved 8ft Saxon sword. 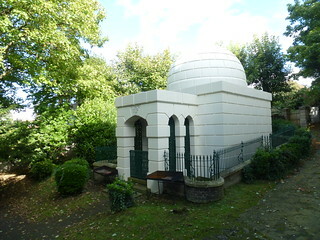 You don’t need to be an avid golfer to visit Stonelees, they have installed a brand new for 2016 bike shelter for cyclists to stop off to view the sword before grabbing a bite to eat or drink in the restaurant. Stonelees Golf Centre is a great stopping place known for the warmth and friendliness of the staff and always open to the public.There is no strict dress code – the club welcomes both walkers and cyclists. The restaurant and bar is open all year round from 8am so perfect for breakfast before heading out along the trial. 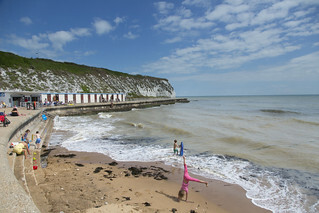 As you cycle from Broadstairs to Margate you pass Kent’s most established surfing school at Joss Bay, see the picturesque Botany Bay with its chalk stack and marvel at the new Turner Contemporary art gallery overlooking Margate Harbour. 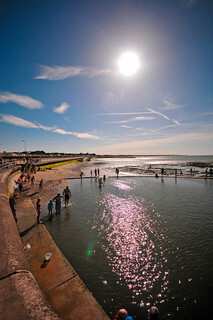 Minnis Bay is popular with swimmers, as well as sailors, windsurfers and sea canoeists. 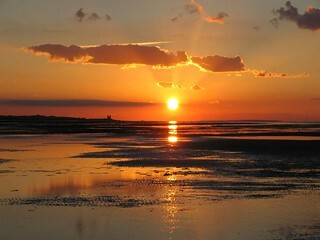 From here, the scenery changes with striking views of the flat marshland as you approach the twin towers of Reculver Church, a few miles east of Herne Bay. 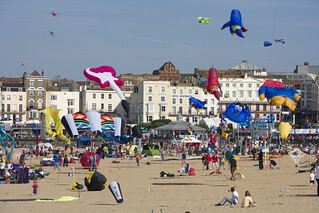 To find out more about the area including attractions, accommodation and events visit the Thanet Tourism Website. 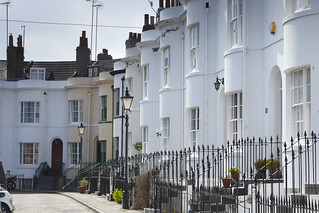 If you do not want to undertake the whole route, try the 9 mile (almost traffic-free) stretch that follows the sea wall from Margate to Reculver via Westgate-on-Sea and Birchington, Kent’s largest village. You can join this well-signed route directly opposite Margate train station. 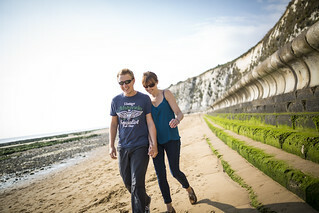 Along the sea wall you will find plenty of diversions, with slopes and steps to the cliff tops and down to the popular beaches and rock pools. 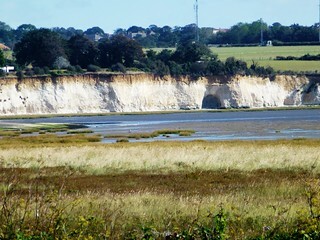 The on-road section takes you along the cliff from Westgate-on-Sea to Epple Bay where you rejoin the sea wall. Save the hassle of bringing your bike and hire one instead! 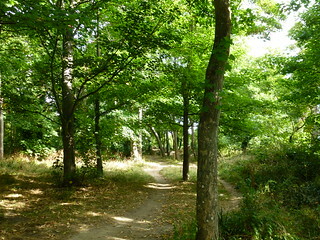 There are several places to hire a bike situated along the Viking Coastal Trail. If you’d like to join a group, there is a selection of friendly cycle groups to suit a range of abilities. Why not get in touch and join the next group ride along the Viking Coastal Trail? 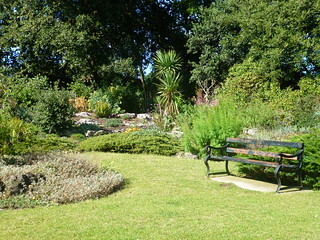 Dane Park is a Victorian park in the heart of Margate. It has a good range of facilities including sports and play areas and is popular with local residents. This long stretch of beach is perfect sandcastle-building territory, with an outdoor play area, paddling pool and seasonal lifeguards to make for a fantastic family visit. If you're looking for some seaside thrills, then Joss Bay is the place to go. 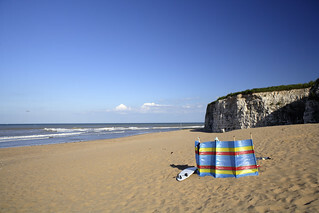 Known as the best surfing beach in Thanet, beautiful Joss Bay even has its own surf school. 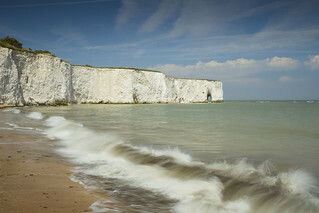 Kingsgate Bay is a sheltered sandy cove, edged by white chalk cliffs and sea caves, said to be some of the best in the country. 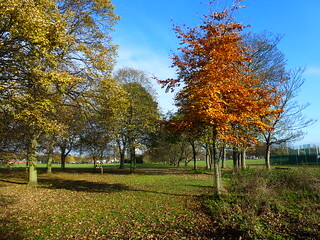 Hartsdown Park and the adjoining Tivoli Park woodlands on the eastern side of Margate offer visitors a range of sports and leisure activities, as well as the opportunity to ramble through woodlands. 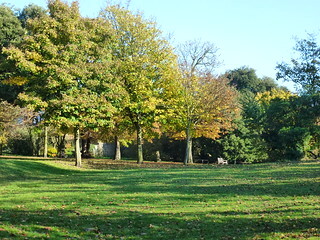 Northdown Park in the Palm Bay area of Margate has small walled gardens and a large open space with sports pitches and children's play area. If your ideal trip to the beach includes some good old fashioned sandcastle building, West Bay couldn't be better. With sandy beaches, rock pools and cafes, it makes for a perfect family day out. 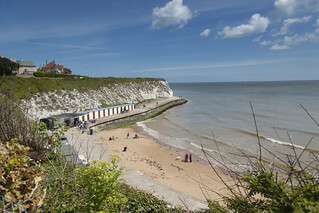 Another of Thanet's glorious sandy bays, St Mildred's is a cliff-lined beach with promenade and tidal pool. 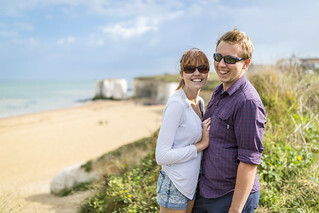 White cliffs, chalk stacks and a secluded sandy beach; you'll find Botany Bay is a perfect choice for a relaxing trip to the coast. 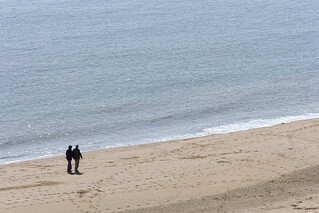 Tucked just around the corner from Broadstairs' Viking Bay is peaceful Louisa Bay. You'll find plenty of rock pools on this beautiful stretch of sandy beach! If you're looking for a secluded bay to take a seaside stroll or a walk along the beach with your dog, Dumpton Gap has to be it. 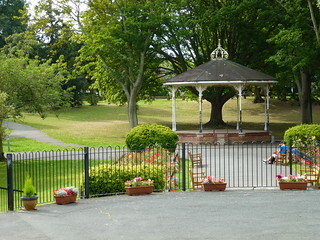 Ellington Park is a gem nestled in the heart of Ramsgate. 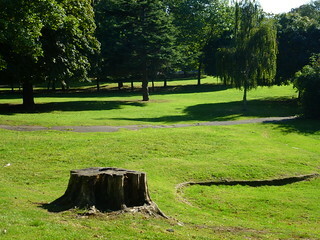 The park has a range of attractions and it is accessible to all. Montefiore Woodland with its diverse wildlife and historical connections to the Victorian Jewish philanthropist Sir Moses Montefiore is a wonderful asset for the local community. Home to a range of seashore birds and wildlife, the bay is considered a nature reserve of international importance and geological interest. 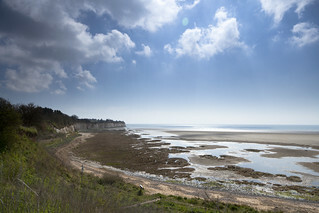 Pegwell Bay Country Park is a great place to explore, with wildlife and coastal habitats that are unique to the South East of England. 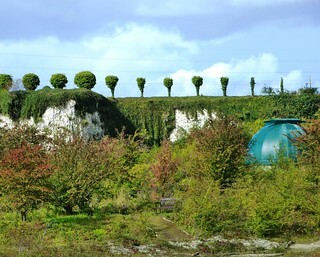 The Monkton Trust Nature Reserve is set in an abandoned chalk quarry, which has been dramatically reclaimed by nature. It features important wildlife habitats, fascinating geology and rare orchids.